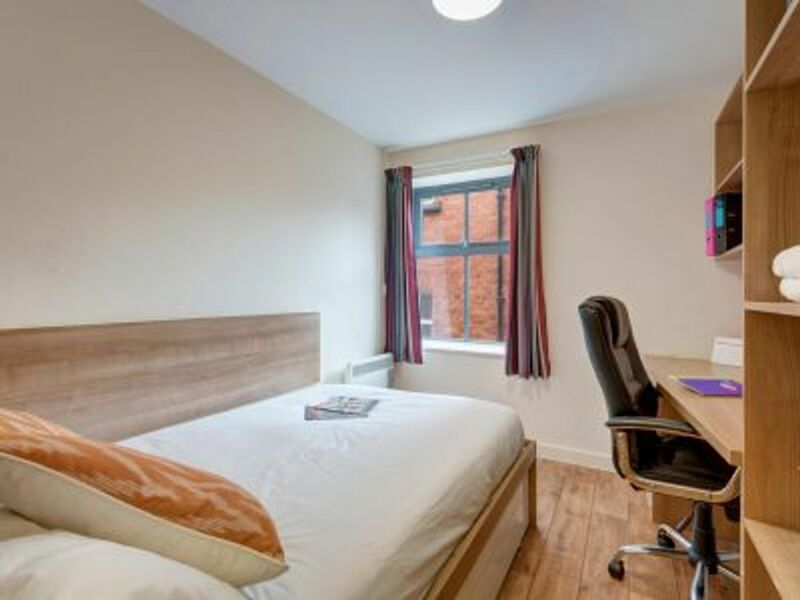 Your student accommodation at Abbeygate is close to all of Chester’s historic sites. Grab a takeaway coffee from The Baristas and follow in the footsteps of Roman soldier patrols as you walk the city walls. Explore the ruins of the Roman Amphitheatre, then browse The Rows, where shops are tucked away in timbered galleries. On sunny days, visit Chester Zoo, then spend evenings with friends, sipping quirky cocktails at The Suburbs. 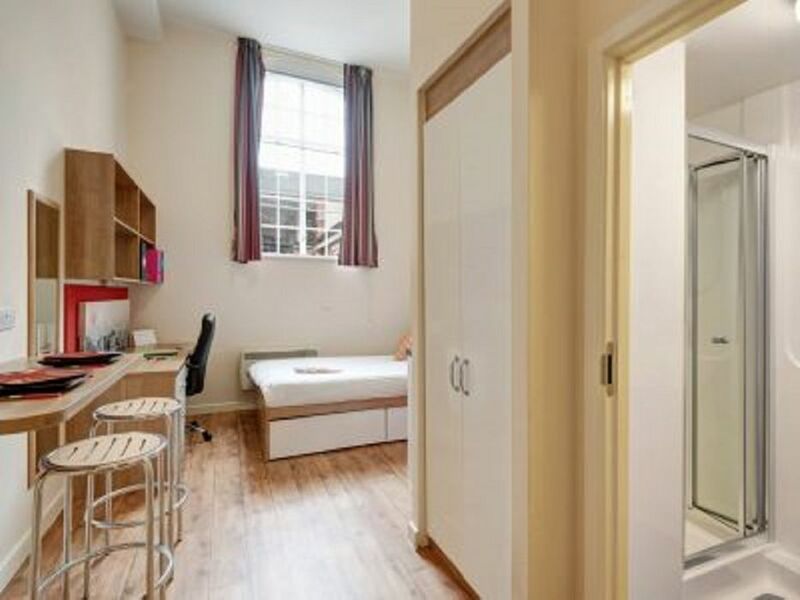 You’ll find the perfect student room at Abbeygate, whether you’re looking for a self-contained studio or an ensuite room in a cluster, with a shared kitchen and living area. Some rooms are located in the original heritage wing of the building, which means you’ll get a real feel for Chester’s history. It’s a 10-minute walk to University of Chester, and you can go by bus in seven minutes. There’s bike storage and car parking on site. 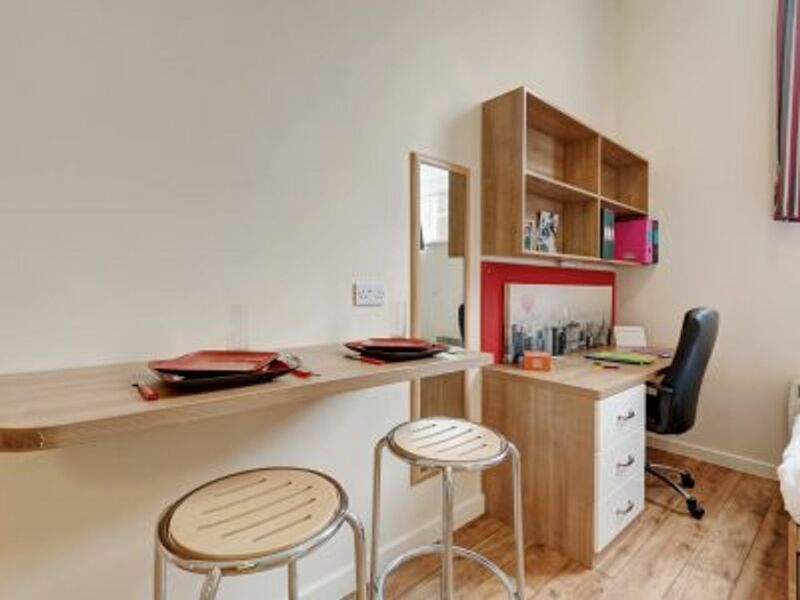 You’ll find it easy to focus on your studies as all rooms have a comfortable work area, and high-speed broadband and Wi-Fi is included in your rent, so you won’t have to worry about how long you spend online. Freshen up with a shower in your private bathroom before cooking dinner in the modern kitchen or enjoying a community social event. 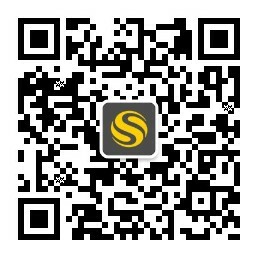 All bills are included in your rent, and there’s a dedicated on-site team to deal with any issues. Wir haben leider keine Unterkunft gefunden, die deinen Wünschen entspricht.Alle Privatzimmer in Abbeygate ansehen. Wir haben leider keine Unterkunft gefunden, die deinen Wünschen entspricht.Alle Ganze Wohnung in Abbeygate ansehen.